Take a wee bit of ancient folklore, mix in some spectacular special effects and a magical cast (including Sean Connery) — and you’ve got one of the most enchanting fantasies of all time! A frisky old storyteller named Darby O’Gill is desperately seeking the proverbial pot of gold. There’s just one tiny thing standing in his way: a 21-inch leprechaun named King Brian. In order to get the gold, Darby must match his wits against the shrewd little trickster — which proves no small task, indeed! Fall under the spell of DARBY O’GILL AND THE LITTLE PEOPLE for a fun-filled evening of magic, mirth, and nonstop shenanigans! The Earnshaws are Yorkshire farmers during the early 19th Century. One day, Mr. Earnshaw returns from a trip to the city, bringing with him a ragged little boy called Heathcliff. Earnshaw’s son, Hindley, resents the child, but Heathcliff becomes companion and soulmate to Hindley’s sister, Catherine. 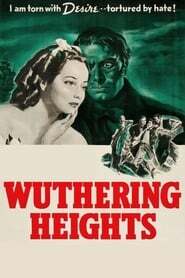 After her parents die, Cathy and Heathcliff grow up wild and free on the Moors and despite the continued enmity between Hindley and Heathcliff they’re happy — until Cathy meets Edgar Linton, the son of a wealthy neighbor.